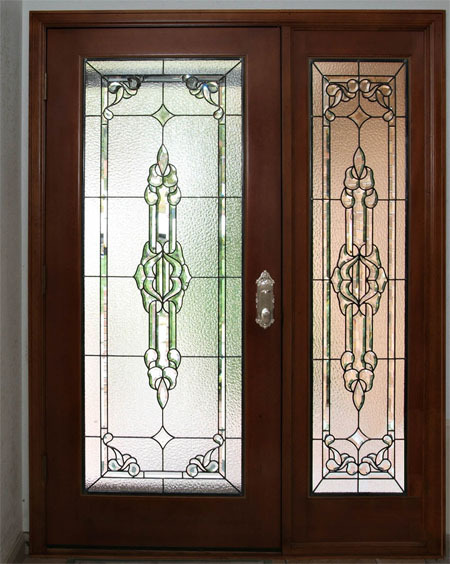 Have you ever wanted to add a stained glass window to your front door or perhaps improve the privacy of your entry door? 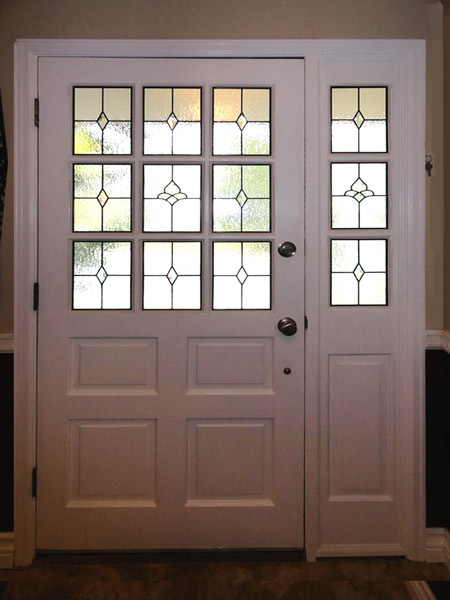 Stained glass doors can provide light to an entryway that does not have sidelights or perhaps privacy to a window that is currently clear. They can also serve as fantastic show pieces as you greet your friends, family, and neighbors. 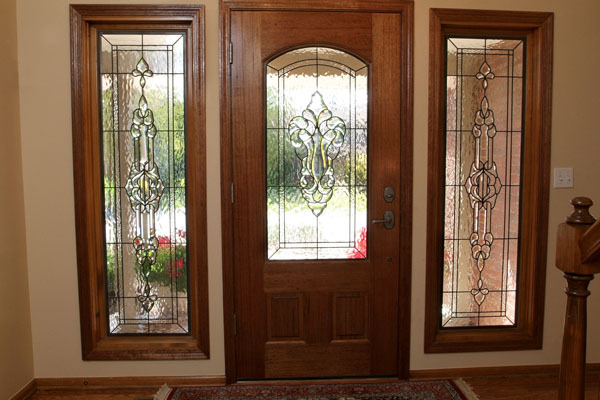 Adding stained glass to your door will allow to you illuminate your entryway without sacrificing privacy. 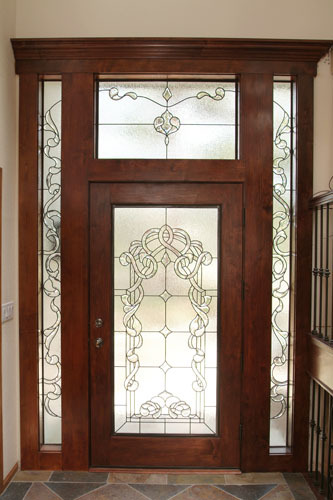 Whether you’re adding a whole new door to your home, or just replacing a glass insert, Scottish Stained Glass will create a custom piece that effectively matches your home, while staying in touch with your personal style. 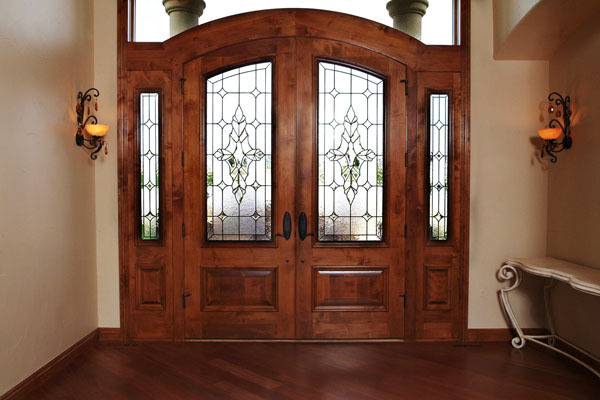 If you are exploring the replacement of your entryway doors, Scottish Stained Glass works with a handful of trusted builders who can build and install custom doors. We only work with the best builders to ensure a high quality product with each installation. 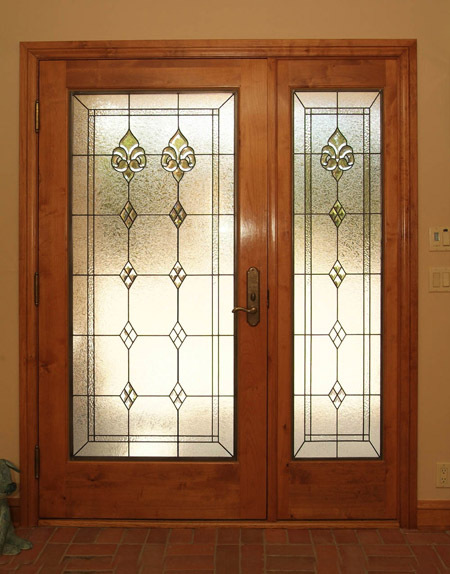 We can work with these builders to create the glass that will best compliment the colors or wood of the door, and as our glass is the superior stained glass, we want to create a complete door that matches both aesthetically, and in quality. 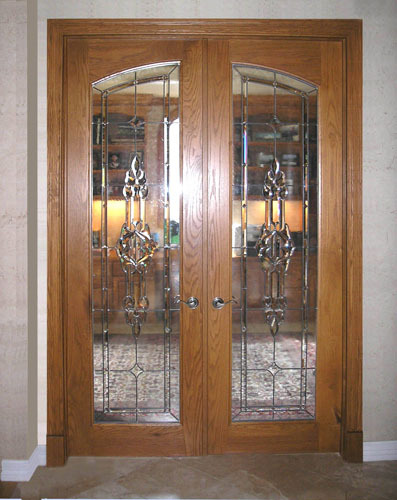 Clients who may not be looking to completely replace their doors do have the option of cutting a window into their existing door. While this may not be possible with some doors, it is an attractive and cost effective option for those situations where it is possible. 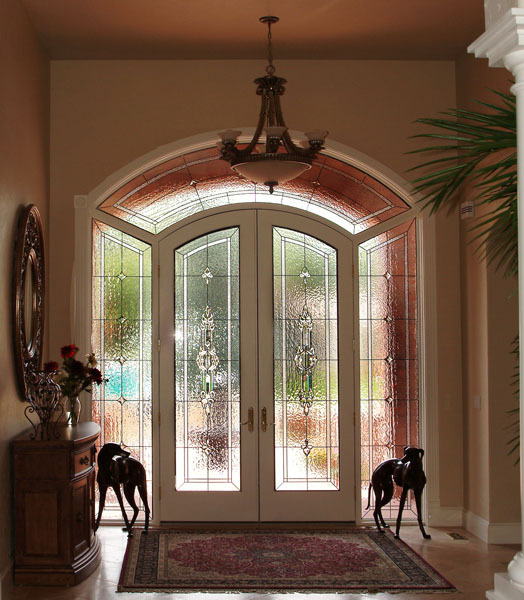 In many cases, the front door of a home is one of the most characterizing aspects. 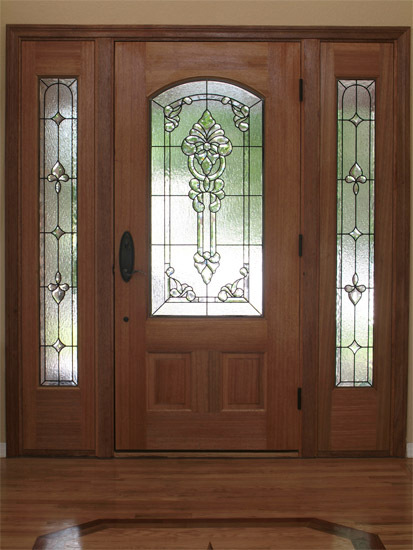 For those of you who love the wood and style of your current door, or perhaps even have a sentimental attachment to it, ask us about the possibility of adding stained glass without installing an entirely new door. 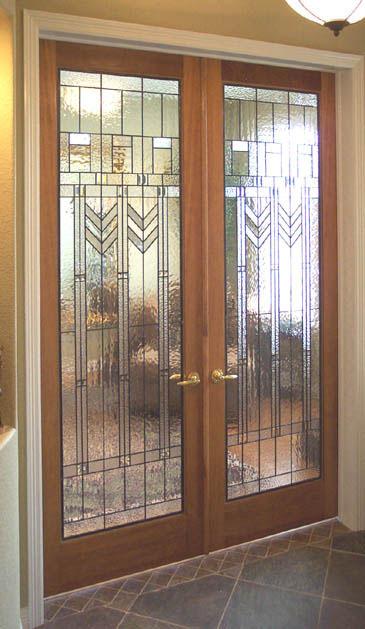 Stained Glass is also a good option for interior doors. 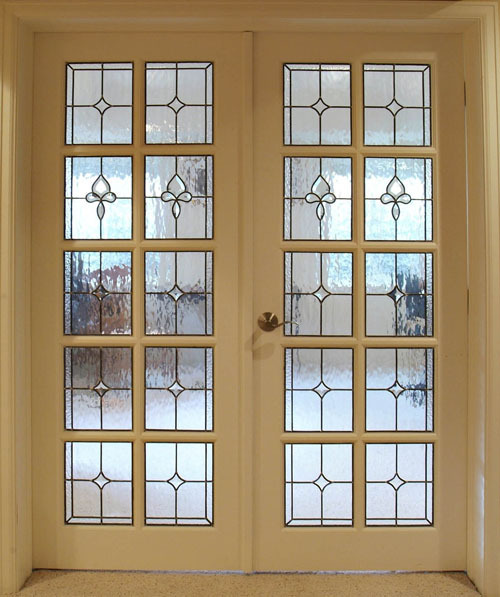 Whether you are looking for beauty, privacy, or an increased amount of light, stained and leaded glass could be the right option for you. 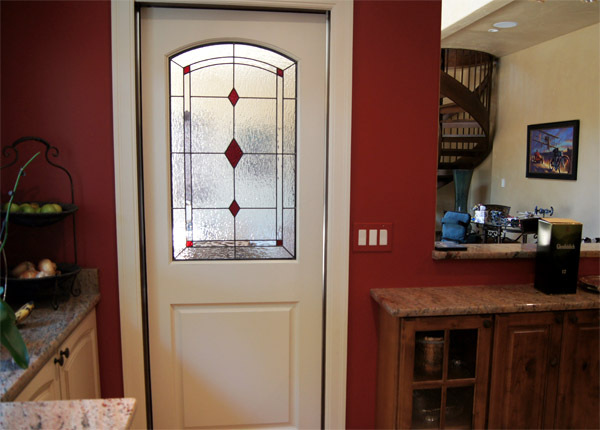 If you have a wine cellar in your home, adding a colored stained glass door is the perfect entry into this room. 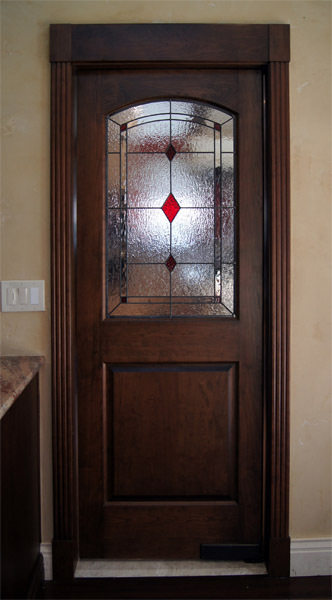 Even in home offices you may think of using a stained glass door. This will give the room a more open and bright feeling than a solid door, while still giving you the ability to close the door for privacy to focus on whatever you may be working on. 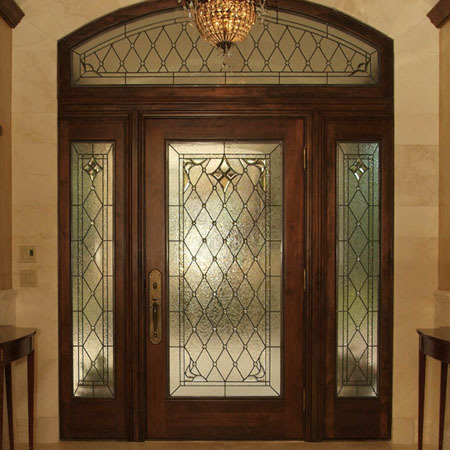 A Scottish Stained Glass door is the perfect addition to any entryway either for the entry to your home, or even an entry to a particular room within your house. 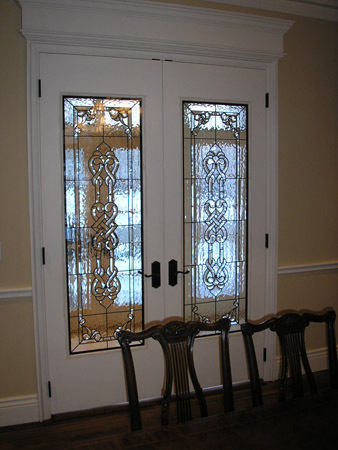 We can accommodate a wide array of styles and personal tastes, and we can design stained glass creations for locations all over the country. 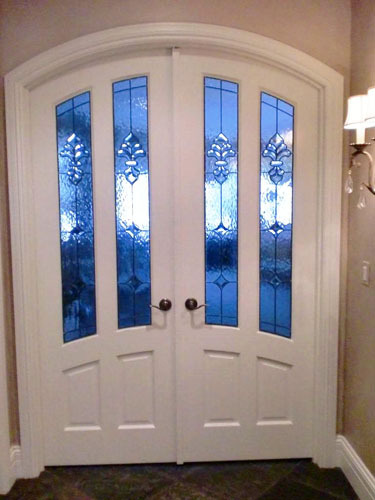 Contact us today to set up a consultation with our team and begin working on your custom stained glass door today!